The Best Comedy Movies according to GreatestMovies.org. The unlike Morgan Freeman and Chris Rock characters match each other well and Renée Zellweger could be seen in her most charming role. Some of the slapstick jokes are outdated and the sound effects being used are silly, but Unfaithfully Yours is nevertheless a movie that must be mention among the best comedies ever because of its high points. Jim Carrey does an excellent portrait of the eccentric comedian Andy Kaufman. The unknown stand-up comedian makes a breakthrough that gets a part in a TV-show. But his jokes are becoming more exceptional and are touching the limits of that can be called a joke. Peter hates his job and his boss. He has, however, no choice but to return every day to the office. But one day after a meeting with a hypnotherapist he is starting to do exactly what he feels like and the formula actually seem to work. Billy Wilder is always telling the story in an elegant manner and The Seven Year Itch is no exception. Marilyn Monroe’s performance generates a lot of charm to this comedy that also succeeds in depicting the American middle class life in the 1950s. Reese Witherspoon plays the over ambitious student Tracy Flick and Matthew Broderick are the teacher that pending between love and hate against her. Election is a lovely dark comedy with a sting of satire. 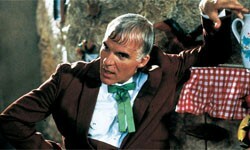 Jim Carrey’s character Stanley Ipkiss deviates from his role in life as a browbeaten to a crazy green super hero. The first co-operation between the director Wes Anderson and the actor Bill Murray was a strike. Jason Schwartzman is perfect in his role as an odd student and Murray’s laconic humor is just brilliant. Highly original and intelligent plot. A portal to the head and the thoughts of the actor John Malkovich is found and is soon used frequently. Ernst Lubitsch was a master of the sophisticated comedy. In Trouble in Paradise the swindlers time schedule is delayed when he falls in love with his victim. One of the biggest classics of Charlie Chaplin. 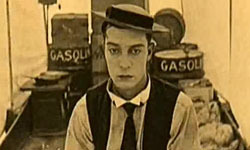 This time his tramp character is searching for gold in Klondike and the movie contains famous scenes with Chaplin eating his shoes and lets his cutlery dance on the table. Duck Soup may well be the best The Marx Brothers movie. The famous hat scene is included and also the mirror scene with Groucho challenging Harpo in a duel about his reflected image. Woody Allen and Diane Keaton are the two neurotics that meet in this tragic-comic story that holds tons of one-liners. The love problems are mixed with intellectual reflections in this celebrated comedy. One of the biggest comedy classics with Tony Curtis and Jack Lemmon dressed as women in an attempt to hide out from the mob. A brilliant comedy to the last detail. C.C. Baxter lets his apartment be at disposal for his bosses and therefore being promoted. But under such circumstances the possibilities of romance with the secretary of his chief are diminished. The cinemas have tried to amuse audiences with funny moments since the beginning of film. The Waterer Watered (L'Arroseur Arrossé, 1895) is considered to be the very first comedy on the screen in which a gardener being the victim of a practical joke. In the beginning when the movies were silent physical situations, so-called slapstick, stood as the foundation for the laughs. Some of the famous comedians on the screen at this time were Stan Laurel and Oliver Hardy with throwing cakes in other people’s faces as a specialty. Buster Keaton and Harold Lloyd did choose a more dangerous way to present jokes which incorporate breathtaking aerobatics and other stunt tricks. After 1930s with the sound film the Marx Brothers was successful in combining slapsticks with a comic dialogue. 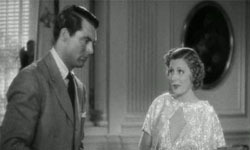 A trend in the 1930s and 1940s was the screwball comedy: a sophisticated farce in high tempo with a romance in the center. As the years go by the comedy has been dressed in many costumes and nowadays film enthusiasts’ talks about black comedy, blue comedy and cringe comedy. Another popular sub genre is of course the romantic comedy with movie titles like When Harry Met Sally… (1989) and Notting Hill (1999). The top 100 movies ever according to GreatestMovies.org. The list includes movies from 1921-2004. A collection of top lists in various movie genres and introductions to every genre. Some of the biggest male and female actors trough the history of film are presented.